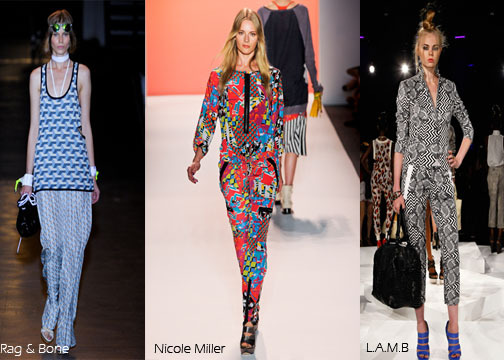 I don't know if designers are trying to make me dizzy or lose my mind at the same time, any way geometric prints are hitting the runways in New York in major ways. Head to toe smorgasbord of lines, triangles, polygons and zig zaging in and out. There's nothing boring about this trend, just make sure you avert your eyes.